Cattlemen from across the U.S. gathered May 31-June 3, in Athens, Ga., at the Beef Improvement Federation Annual Convention and Research Symposium. This annual gathering of the leading seedstock and commercial beef producers, academics and allied industry partners sets the stage for genetic improvement in the beef cattle industry. Here are six key takeaways from this year’s BIF convention. Not only is data key in genomics, but it’s also important in performance information as well. As we continue to collect more genomic information, we also have to continue to collect performance data such as weight traits and measurements. This data is vital for future genomic values so that genome technology can improve as time progresses. Reproductive technologies like , complete performance data reporting, etc., are available for breeders to use to their advantage. 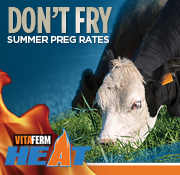 What can these technologies do to increase the rate of genetic progress in your herd? Develop a genomics program for your operation utilizing the various reproductive and genomic testing technologies. There is a gap between producers utilizing genomic advancements and those who aren’t, and this gap will continue to widen over time. Check out Kansas State University faculty member, Bob Weaber’s message for more reasons to “Mind the Gap” with genetic improvements. The value of whole herd reporting and the American Hereford Association’s (AHA) cow inventory systemWhole Herd Total Performance Records (TPR™) program has leveraged the development of key economically-relevant traits and will continue to provide additional traits for cattlemen to utilize. 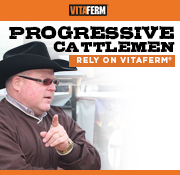 Listen to Bruce Golden’s, Theta Solutions LLC., president, message regarding the revision of the Sustained Cow Fertility (SCF) trait. Just like the fundamentals of whole herd reporting, collecting whole herd genomics is critical to getting the most out of marker selection. Don’t let your operation fall behind with industry trends and technology. Want to share this blog post on social media? Click the icon below!